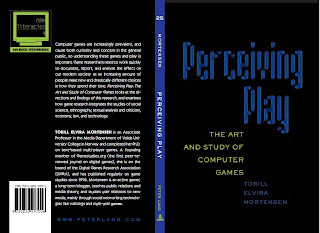 Indeed, related to violent video games, the FBI report specifically stated, “The student spends inordinate amounts of time [although inordinate is never defined and is left subjective] playing video games with violent themes and seems more interested in the violent images than the game itself ” [italics added]. This confirms what media studies has been saying about entertainment violence for a very long time. It is a lot more relevant to the use of violence whether the person is interested in violence than if the person is exposed to violent media. If they are interested in violence (for instance through learning that violence is an acceptable tool to solve problems), they will seek out violent entertainment. It's not the violent entertainment that causes the violence, if anything, it's the other way around. Tag this article, fellow media scholars. It's one of the few that looks with a critical eye on the methodology of other studies, and which looks for more than the one, simple and obvious connection. February 6th I'll be in Oslo, at a seminar organised by JoinGame, a Norwegian network promoting game research and development. I will be there on the 5th as well, but then I'll just be your regular participant. February 19th I'll be in Trondheim, for a meeting at the Norwegian Technical University (NTNU) - no public talking (I think), but I'll meet the always wonderful Sara Brinch. March 6th I'll be at something which it surprised me that I was invited for: Leangkollseminaret, a meeting for medical doctors and psychologists, a traditional meeting place for discussions of addiction. This year's topic explains a lot however: "From technical spirits to facebook" (Fra rødsprit til facebook). I am a little apprehensive about this, as I am trying very hard not to talk about addiction, but I still want to go here. This is my best chance to talk to the people who really know what addiction is, to learn something from them and to perhaps be able to teach something about games, too. "Blikk" means "gaze" in Norwegian, and while it's probably a clever acronym, I haven't tracked it down to check for what. What I do know is that it's a conference for people who work with youths and culture, it's in March this year at Utstein Kloster, and I have been invited to talk. I just accepted, a little late as I had to make some decisions first, so I assume I'll be there. I was however very happy to see that Kristine Ask and Rune Klevjer, two active games researchers, had already accepted. The topic is: Games as a cultural phenomenon. This is going to be fun. I am a little late to the party for blogging about this, as Electronic Frontier Foundation has been around for ten years. But the website is an extremely interesting resource for anybody interested in online freedom of speech, and I particularly recommend their list of legal cases. This morning, as I was desperately trying to get into World of Warcraft (down for maintenance - on a Saturday morning! ), the radio was on and playing Norwegian Broadcasting, program 2. After an initial discussion about the problems between Israel and the Palestinians (Norwegians are extremely torn about this issue - on the one hand, the whole European guilt, on the other hand, the very real suffering of the Palestinians in Gaza), the conversation turned to something entirely different: Entertainment violence. I was just listening with half my brain, but almost woke up when I heard a Norwegian psychology scholar discuss game violence - in a sensible manner! I didn't catch her name, and I didn't catch the reference to her study (yes, I know), but I do have internet access. And so, for those of you who understand Norwegian and want to hear a refreshingly sane view on game violence, one which may actually be based on real and decent research, Verdibørsen, P2, January 4th. It's the second half of the podcast. Enjoy. Now, something entirely different: weight and exercize. People who have followed this blog for a while, know that I live with some allergies and health issues that occasionally are expressed here through recipes for low glycemic index cooking. While I don't eat low GI to lose weight, it has that wonderful effect to: I managed to lose a lot of weight and maintain my new weight when I changed diet. This was something I did not expect. You see, I had tried it all by then: working out, eating less fat, you know, everything one should do. Working out has the effect of making me stronger, giving me more energy and generally making daily chores easier, so yeah, it is very good for me. But I didn't lose weight. I just gained muscle. So I had resigned. I'd gain a kilo or two each year, and by 60 I'd be obese. Rather depressing, so imagine my joy when I discovered that something actually worked! Now, many years later, there is finally a piece of research that fits with my own experiences. If you read Norwegian, it's brilliantly explained at forskning.no. For those who don't, the essence of the research is this: If you try to cure obesity by taking in less energy than you use, the body will resist the process and either make you eat more, or shut down processes that uses energy. Starvation doesn't work in the long run, and the "less in, more out" strategy is basically a starvation strategy. What you need is to reduce the insulin in the body, as insulin stops the release of energy from fat, and leads to more storage of energy as fat. This was just what my change in diet did. Now, I saw that once I had adjusted my way of eating to something in between low carb and low GI, I suddenly lost weight when I was physically active. The research explains this as well. Physical activity strengthens the insulin metabolism, and assists in releasing energy from fat. So, if you gain weight because your insulin metabolism is weak, working out will help you. My metabolism was screwed up already (I knew this, I have a condition that is not diabetes, but does mess with my metabolism), so just working out wasn't enough to help. For my family, who live on a normal, healthy diet and have a good metabolism, working out is enough to adjust their weight when ever it goes up. It's not that they eat less and use more. My son, the active climber, at times eats enough for the other three of us together, he is constantly hungry when he's active, and he's very, very skinny. It's just that they have a metabolism that lets them actually use what they eat. In the boy's case, this means that when he spends the day being lazy, he hardly gets hungry. Which is the way it should be. Of course, in order to get to the point that I could lose weight, I had to work hard at learning what was good for my body. If I had known that one result would be weight loss, I think I would never have figured it out. We are so drilled in the "less calories in, more calories out" way of thinking, that it would have stopped me from finding the diet that eventually would help stabilising my entire body at a much healthier level. And even now I am not at what medicine says is a "healthy" weight for a woman my size. As for fashion? Forget it. Too many curves, and not in the right places, for fashion. But I am healthier, staying fit is easier, I have more energy as I can use it, rather than store it as fat, and I finish my meals with a very good conscience. Now I also understand a bit more about why this works, when nothing else did. Did you know there was a MUD based on the Discworld, the universe created by Terry Pratchett? I knew, actually, although I had never visited it. The one who did visit is Faltin Karlsen, a Ph D student, and currently a doctorate candidate, at the University of Oslo. He defends his thesis Emergent perspectives on multiplayer online games: A study of Discworld and World of Warcraft tomorrow. I know, because I am one of the opponents. As such, I don't really want to say too much about this. I just wanted to say this: The test lecture is at Forskningsparken Friday 16th at 9.15. The defense starts 11.15. I am going to do my best to make it an interesting, worth-while event. A fun email dumped into my box today, drawing my attention to a business plan that at first made me giggle happily. Then I checked the date. Nope, not April first. That's when my evil mind started looking for exploits. The people in Seriosity, Inc. think the inbox should be a game - or at least, sorted through a virtual economy. And so, as the market economy ideal burns and crashes, Edward Castronova is an advisor to the company as it attempts to build a virtual economy by which to organise your mailbox. Prioritize depending on how much currency people are willing to pay for your attention, get Serios today! Serios is the virtual currency you need to pay for the attention of others. It's expected that people will be careful with their serios, and not spend a lot of them, mostly splurging, according to the demo, on things like mails to the manager (50 serios). Attent users are given certain number of Serios every week. Serios are allocated equally to each user. Serios can be spent, saved or traded like a physical currency, and like an actual currency Serios are a scarce good that is valued among Attent users. Serios are traded using a secure, reliable financial system that keeps track of trades. And there are sophisticated monetary policies that insure the financial system stays healthy and the currency remains stable. So, let's say I want to write one of my colleagues, and I want to let them know there's cake for the lunch break (no, there isn't, this is just an example!). That is the kind of information they really want to get (it's just an example! There's no cake in the lunch break today!!! ), so I don't need to attach any serios to it. It's also not vital (one should think), so if they ignore it nothing really happens. Now, let's say I want my colleagues to show up at a meeting to discuss next semester, and I want that meeting at the most peaceful time at the college: 08.00 sharp. If I want them to get that message, I would have to attach a huge load of serios, something like a million. Because it's January, next semester is almost a year away, and nobody have meetings at 08.00, as that's when the most eager of us stumble, still half-asleep, into the offices and start the procedure of waking up. I don't think they would get that message if I used a billion serios, no matter how serious the matter I needed to discuss was. Changing the time to 10 am, and adding cake, now that would get the message through at a much lower price. Anyway. Now, as the middle manager sending off 5 emails with a million serios attached, I am broke. All out of serios. I got as many as the rest, but the others HATE the things I have to say to them (most of the time it means more work and less freedom to do their own stuff.) So the next email I need to send, which is a request for assistance in details for a letter to the students about their upcoming exams, gets no serios. I'll just have to trust that the recipients realise that this is more important than the cake during lunch (no, there is still no cake for lunch today). As a manager, trying to get the attention of colleagues who have a very different priority from mine, I'd quickly run out of serios. The system is then broken, as I don't have anything else to trade for serios - I am just a go-between and have no real power, just a big load of responsibility. Now, I have to grind serios, by writing nice and serious emails my colleagues really want to read. I don't have time for that though, as I am working on all that stuff my colleagues don't want to know about. However, I have this contact in China, a nice young academic who is delighted to do such things as read books on public information and media theory, write short abstracts and reviews, make suggestions about how this can be used for teaching, and mail it to me - against a very modest fee. So I start my own little serios-farm, and pump out emails to my colleagues by flooding them with cheaply generated content. Soon the young academic in China is a well-established budget post, and I have all the serios I like and can spam my colleagues all the time with higly priced mails. The problem is that my colleagues prefer the mails from the guy in China. You see - he delivers information they can use immediately, while I just make demands. So they start looking for mails with perhaps 2 or 3 serios attached, and ignore the ones with 50. The ones with big sums attached to them are now clearly mails I think they need to act on immediately, while the ones with small sums attached are fun and useful. And so even my little exploit is broken. One of the exciting uses of the Attent system is that users have a new and extremely efficient way to give feedback to their correspondents. For example, if an e-mail recipient thinks that a new product idea sent with 50 Serios is valuable, they can reply with 60 Serios – a net reward of 10 Serios. On the other hand, if the e-mail recipient believes that a product idea sent with 50 Serios is not valuable, they can rely something less than 50, including zero Serios. While this is a lovely thought, it assumes a lot about the rationality of human beings. It's the assembly-line taken to organisations all over again, assuming a system where all think alike, prioritize alike, and respond alike. If there's one thing organisation theory has taught us since the 50ies, it's that individually perceived importance and personal interest does not equal the best interest of the organisation. In this group, outspoken members frequently clash with each other, while the ideas of other members get lost in the mix. As a result, the group is often unable to reach a consensus due to squabbling among members. When an idea is picked by the group, it is often due to the strength of an individual’s voice, rather than the appeal of the idea itself. In this environment, the talent of the group is wasted because all ideas are not heard equally. This creates hostility among team members, and slows innovation. In the competitive high-tech industry, this lack of innovation leads to product stagnation, ultimately resulting in falling sales. Has currency ever given the world a solution to this problem? When money gets into this mix, it flows to those strongest voices, the person with more connections than talent, and it most certainly causes hostility. It creates a new, inventive way to silence the unwanted, disruptive voice: Don't respond with any serios! Soon the one with the really new and different idea will be as broke as the frustrated middle manager, and have no budget to draw on for Chinese serios-farmers. Yes, Serios looks like a fun game I'd love to play with my friends and colleagues. I'd be more than happy to attach it to emails among folks I know will not abuse or exploit the system. The problem is: inside a flat, happy and friendly structure, you don't need that kind of a managing system, as people will respect each other's time and only write IMPORTANT in the headline when it is important. In a system with cut-throat competition, it will be broken 30 seconds after implementation. So, I actually prefer to assume that whoever made this website and got Edward Castronova to play along, was not serious. As a joke, this is hilarious! Castronova has responded to people's reactions to the proposition of serios, in two posts on Terra Nova. There is also a link to a post which describes the same email that set me giggling. Apparently it wasn't a joke. I have just finished planning the spring term (only one day after the students should have arrived), and I am quite delighted with the course I am responsible for this year - INF213, or, in plainer talk: the final semester of the bachelor in public information. Aside from combining some of my main interests in the teaching process: the net, the users and the communication that reaches the public, I get to have two really interesting guest lecturers. And this year I am really indulging, I have invited two friends of mine: Pattie Belle Hastings, who will be here in January, and Luca Rossi, who arrives in April. In between this I will hopefully have time to produce a couple of articles - I have some half-chewed material that deserves to be finished, and one article I have promised to write for an anthology, which is worrying me. I haven't been able to write a single sentence in the chaos that was my "Christmas vacation" (I swear: "vacation" will from now on mean going abroad, or I will call it "work camp"), and while I feel like I am about to explode with the thoughts on the topic, I don't have time to actually let that explosion happen until the 19th. That is such a frustrating feeling: I know what I want to do and have to do, but work gets in the way of work. On the up side: The book (yes, there is only one book so far - except all the other books of course, but I didn't write those) is finally really finished, and sent off to the printer. Expect it in March!